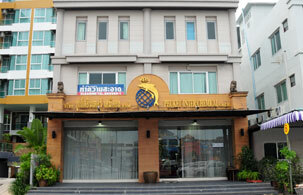 Phuket Inter Chemical was founded on 16th February 1996. We're one of the leading companies who provide a comprehensive cleaning service to customers in both Phuket and Bangkok. We have extensive expertise and experience having provided services to leaders in the public and private sectors for nearly 20 years. Phuket Inter Chemical is managed by a quality and professional management team and use high-tech equipment allowing them to operate quickly and efficiently. Our highly trained staff ensures all the company's services are carried out to a standard that meet each and every customer's expectations and satisfaction. With the available technology and a team of experts who operate as a system, Phuket Inter Chemical uses a range of products carefully selected and Good Manufacturing Practice (GMP) certificated by the Food and Drug Administration and Eco Domestic Product (EDP) certified by the Notification of Pollution Control Department. By doing so, this has made the company gain the trust of many customers and has made them the leader in the cleaning services market. Interior and exterior window & glass cleaning and roof cleaning and more.